Any devoted white marlin aficionado will tell you that the tackle available today is leagues above what was used on the tournament circuit back in the 1950s and 1960s. Yet, one of the best white marlin baits remains a firm and gleaming carefully rigged balao because when it comes to catching fish some things never change at all. 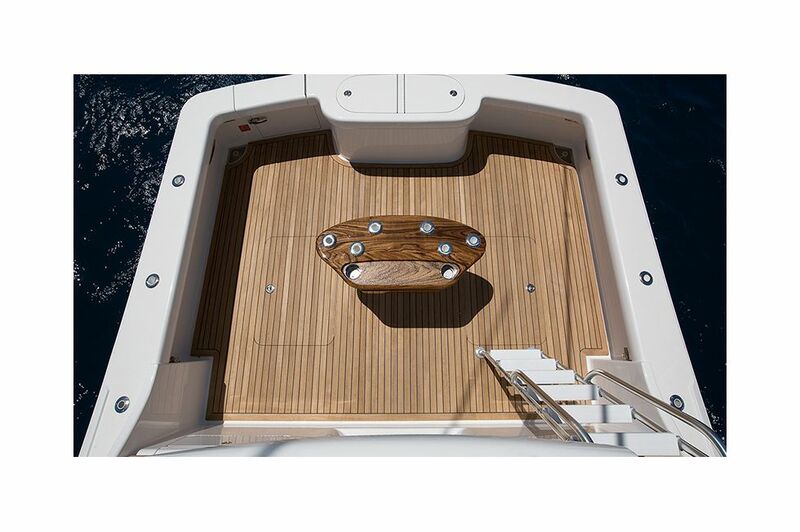 The Viking 37 Billfish rides right alongside this wave of thinking. 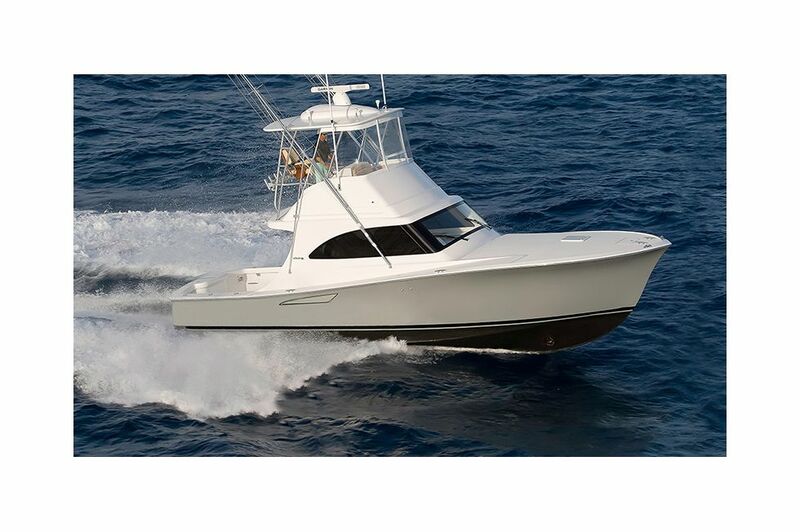 Designed to emulate the historic Merritt and Rybovich day boats of that by gone era, the Viking 37 Billfish raises the bar on the memory of these classic vessels with slick, contemporary styling and modern and more durable materials to offer better performance, easier maintenance and attractive overnight accommodations. The day boat style offers unfettered access to the 86 square-foot cockpit equipped with a bait freezer, tackle stowage, a transom door with a lift gate, insulated fish boxes and a transom live well. The open salon provides all weather protection with a comfortable U-shape dinette and hi-lo fiberglass table, which converts to a bunk, opposite a cushioned lounge. 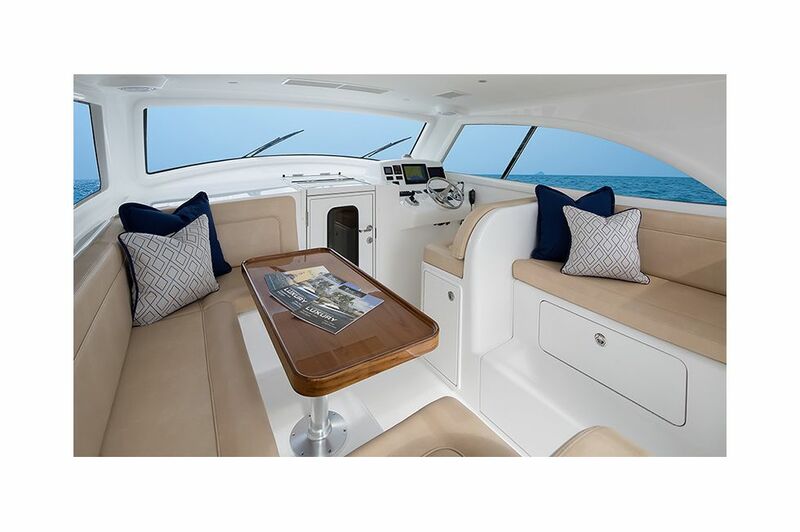 At the end of the day, there is plenty of room to relax in a comfortable environment, a significant element missing from today’s wide open large center console boats. 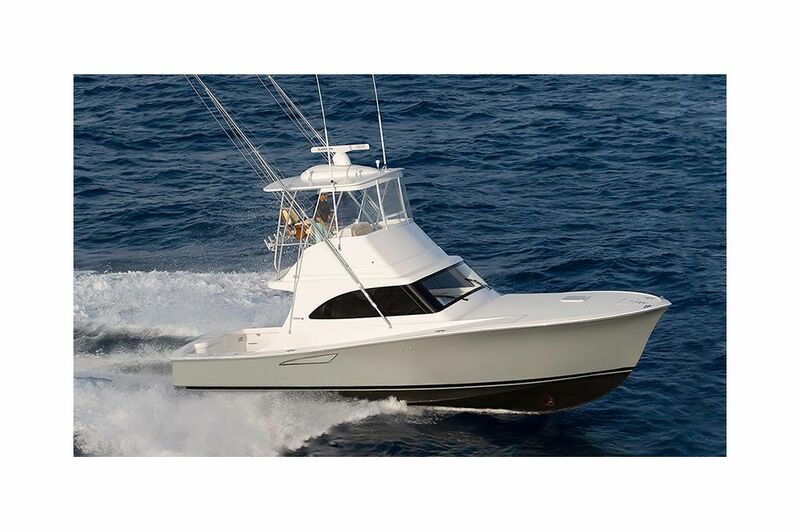 Taking the day boat design up a notch, the Viking 37 Billfish also is outfitted with a lower helm station, sure to please northern anglers who plan to fish into the winter months, as well as owners looking for express style convenience. 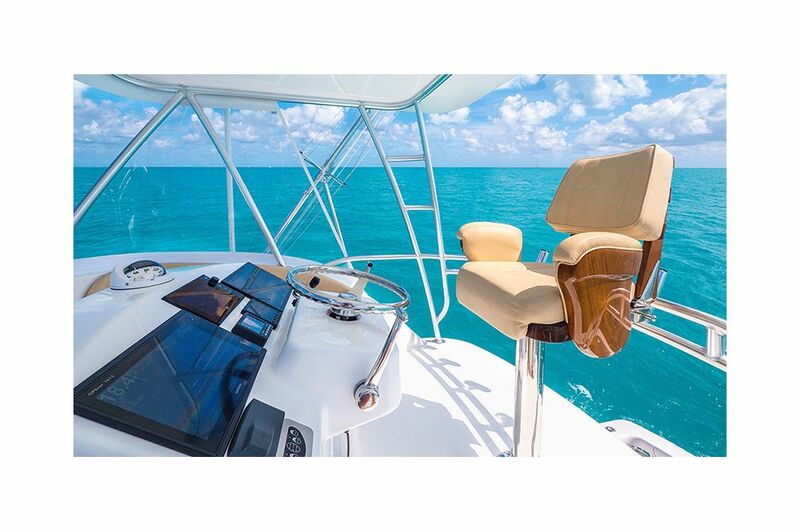 With available air conditioning on the command deck, southern fishermen wishing to escape the heat will find relief and comfort, as well as quick access to the cockpit. 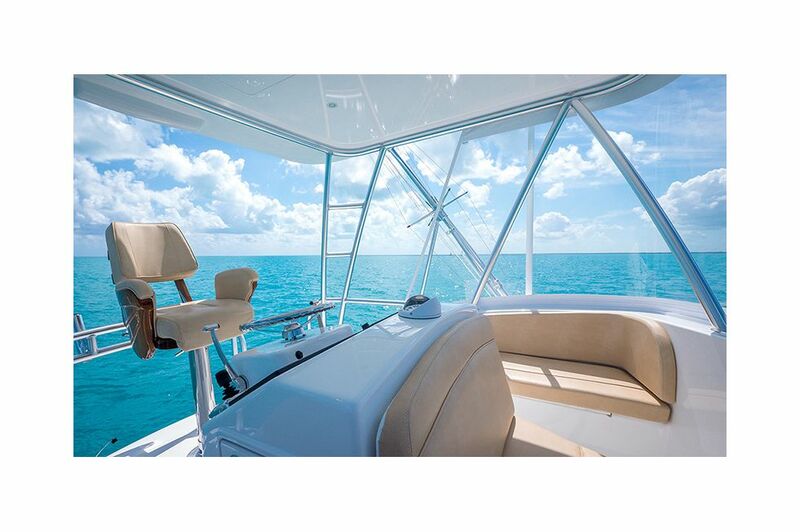 The flying bridge helm features a center console command station with single lever and optional joystick controls, power-assisted hydraulic steering, Vessel View engine instrumentation, a pedestal helm chair as well as lounges and jump seats. 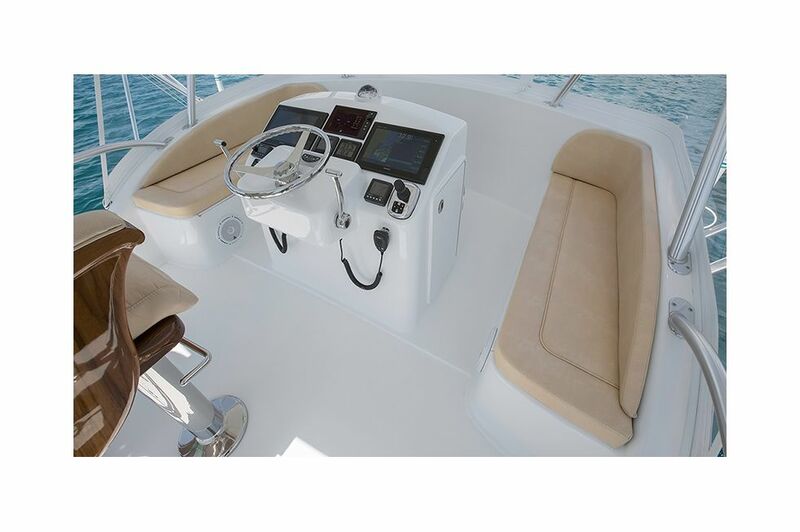 There is ample electronic space built into the console, as well as a fiberglass hardtop, and a three-sided Costa Clear enclosure. 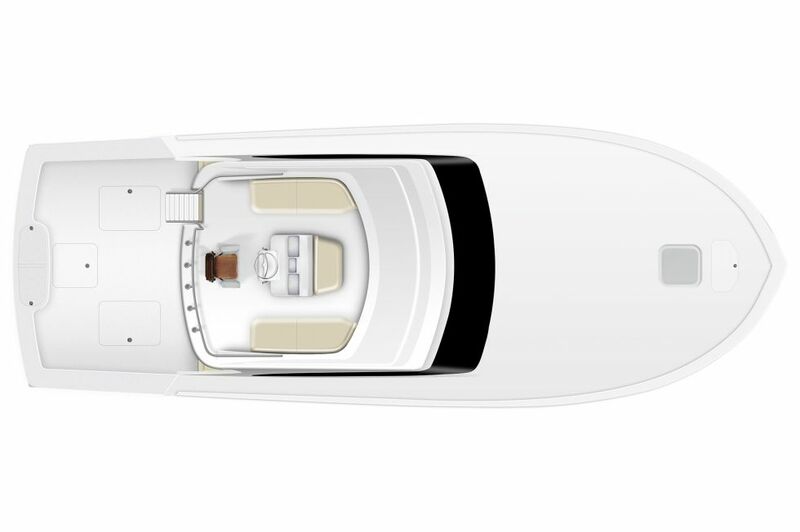 Going below, the Viking 37 Billfish has a spacious and air conditioned layout thanks to its nearly 14 feet of beam. Amtico vinyl flooring is standard and the joinery is high-gloss teak. 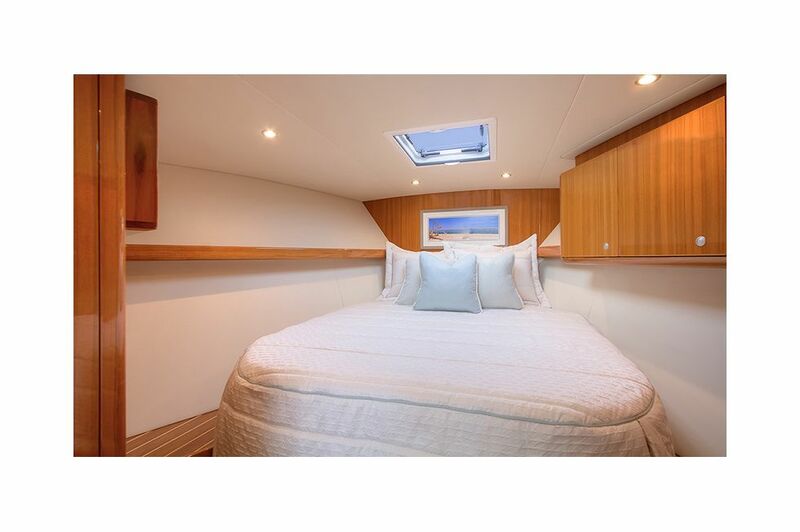 The private stateroom in the bow can accommodate a single queen bed, or can be ordered with over and under berths. Good stowage is provided with a pair of maple-lined hanging lockers, starboard hull-side cabinetry, under berth drawers, and a fishing rod shelf. The entertainment system includes a 20-inch flat screen television, a CD/DVD player, stereo, and an auxiliary input. 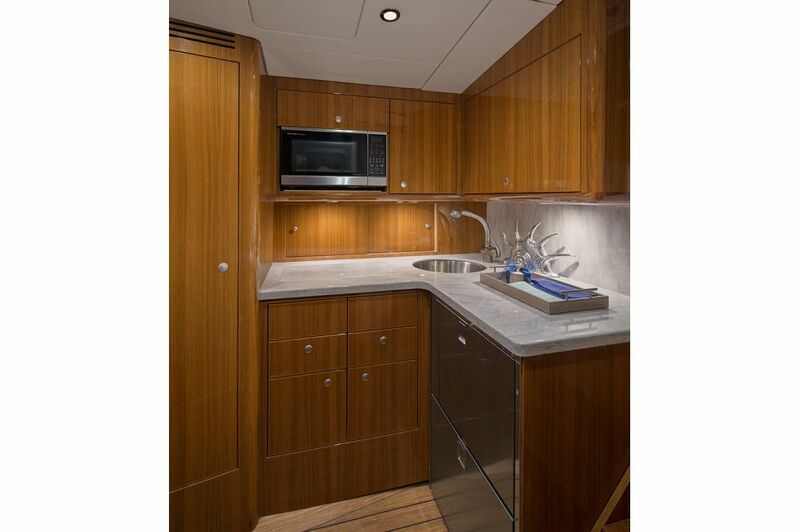 The L-shape galley features Corian countertops, a stainless-steel sink, an electric cooktop, a microwave/ convection oven, under counter drawer-style refrigeration, and spacious cabinetry for dinnerware, cooking utensils and supplies ideal for extended traveling for tournament fishing and family cruising. 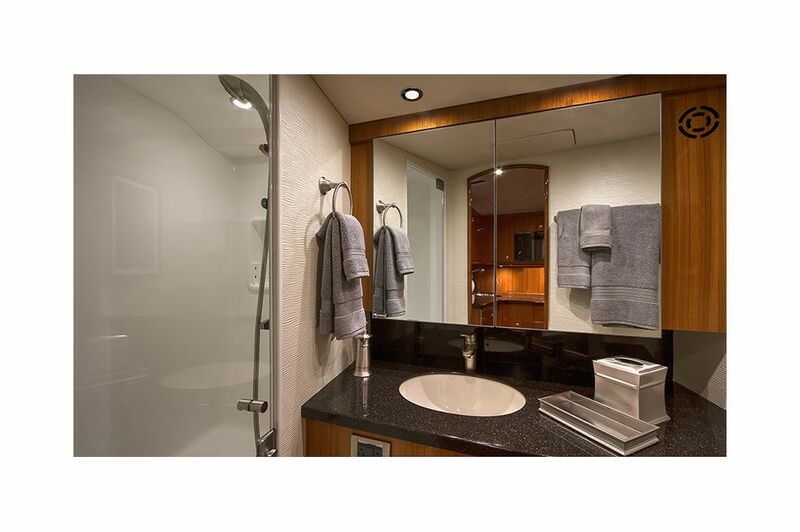 The generously appointed air conditioned head includes a fiberglass shower stall, a vanity with built in Corian countertop and sink, and a mirrored medicine cabinet. 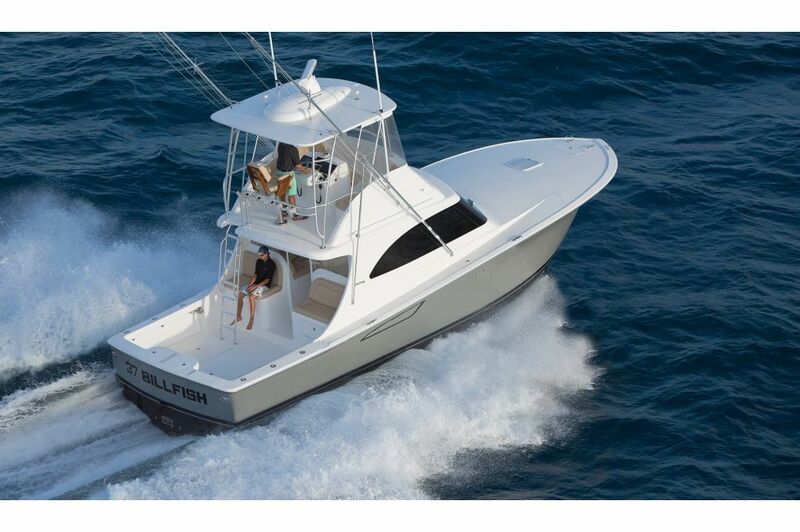 While aimed at fishermen, the Viking 37 Billfish also is a ubiquitous family cruiser adding to its overall appeal. 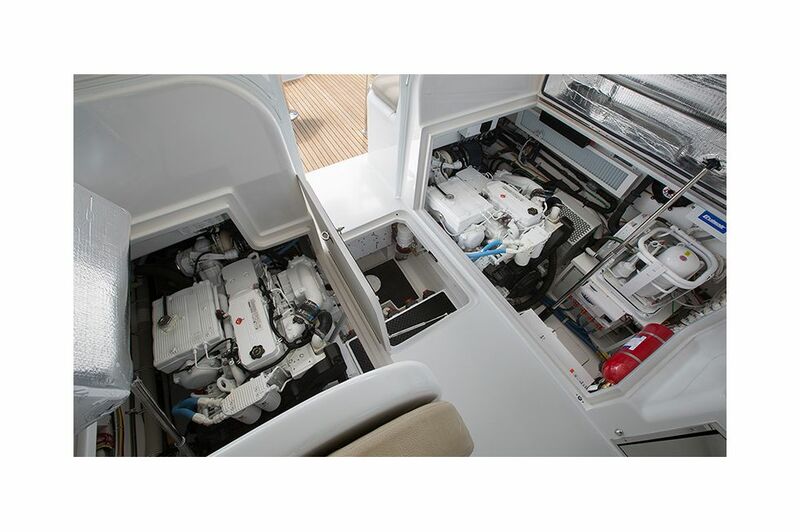 Standard power is a pair of tier 3 common rail, in-line six-cylinder, turbo-charged and after-cooled Cummins QSB 6.7 diesels with 550 mhp, which deliver a 30 plus knot cruise and a top end approaching 35 knots, depending upon load, sea and environmental conditions. For ease of maintenance, each engine and other critical machinery is located beneath electrically-actuated hatches in the command deck area. The engineroom bays, bilges and lazarette are finished with white gel coat for easy cleaning. 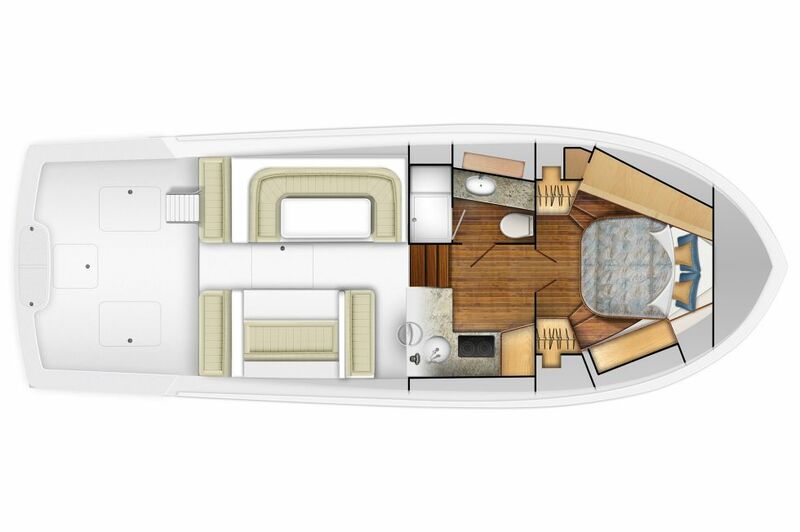 The molded fiberglass hull with 12.8 degree transom deadrise includes premium vinyl ester resin barrier coats, biaxial stitched fiberglass fabrics, cored construction from the chine to the sheer and a solid fiberglass bottom. A molded fiberglass gel coated grid forms the stringer system which is chemically bonded into the hull and also serves as the base for nesting other internal components including the FRP floor into the boat for structural integrity. 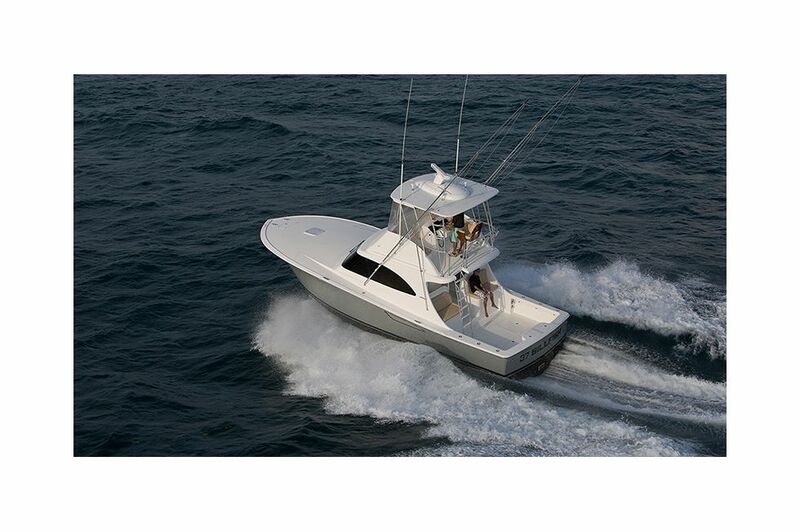 Get ready to make your own history as we welcome you aboard the Viking 37 Billfish.